January 20th: The Supreme Court has overturned Farah Vazehan’s death sentence. HOWEVER, even though her death sentence has been overturned, since she is suffering from illness, prison is comparable to slow death sentence for her. In September, she was transferred to an outside hospital due to her heart problems. PLEASE CONTINUE TO SIGN THIS PETITION! Death row prison Farah Vazehan has been transferred to a hospital outside of prison after suffering a heart attack! On August 4th, reports surfaced that Farah Vazehan was sentenced to 15 years in prison. However, a reliable source has told RAHANA that her sentence is actually death. The anonymous source told RAHANA that Vazehan’s family has not informed her that she is sentenced to death to prevent her from worrying. Salavati from branch 15 of the Revolutionary Court is the presiding judge on the case that is still open for appeal. Farah Vazehan was arrested on December 29, 2009 (two days after the Ashura protest). She is currently detained in the general women’s ward of Evin prison. Vazehan was charged with participating in street protests and Moharebeh (waging war against God) by cooperating with the PMOI. She was living abroad for many years and came back to Iran because her 19 year old daughter who is diagnosed with cancer was receiving chemotherapy treatment. Following the Ashura protests, hundreds of people were detained and many received heavy sentences. Article 27 of the Iranian Constitution declares freedom of assembly, “provided arms are not carried” and the assemblies “are not detrimental to the fundamental principles of Islam”. یک منبع مطلع به رهانا گفته است که برای فرح واضحان یکی از متهمان حوادث بعد از انتخابات حکم اعدام صادر شده است. در تاریخ ١٣ مرداد ماه خبری مبنی بر صدور حکم ١۵ سال زندان برای فرح واضحان از متهمین روز عاشورا از سوی شعبه ١۵ دادگاه انقلاب اسلامی منتشر شده بود که یک منبع مطلع به رهانا گفته است، برای واضحان حکم اعدام صادر شده است. این منبع که نخواست نام‌اش فاش شود به رهانا، سامانه خبری خانه حقوق بشر ایران گفته است که خانواده‌ی واضحان برای عدم ناراحتی وی حکم اصلی وی را که اعدام بوده است به اطلاع‌اش نرسانده‌اند و حکم اصلی وی اعدام بوده است. این حکم که از سوی قاضی صلواتی در شعبه ١۵ دادگاه انقلاب صادر شده است و حکم دادگاه بدوی است. فرح واضحام که هم اکنون در بند عمومی زندان اوین به سر می‌برد حدود هفت ماه در «بازداشت موقت» بوده است. واضحام دو روز بعد از حوادث روز عاشورا در تاریخ ١٠ دی ماه ١٣٨٨ در منزل خود بازداشت شده بود. اتهام فرح واضحام شرکت در اعتراض‌های خیابانی و «محاربه از طریق همکاری با سازمان مجاهدین» اعلام شده است. وی سال‌ها خارج از کشور زندگی می‌کرده است و به خاطر دختر ١٩ ساله‌اش که به سرطان مبتلا است و شیمی درمانی می‌شود به ایران بازگشته است. در طی حوادث روز عاشورا که در اعتراض به نتایج انتخابات سال گذشته ریاست جمهوری در ایران شکل گرفته بود، صدها نفر بازداشت شدند که بسیاری از آنان به دلیل شرکت در اعتراض های خیابانی حکم‌های سنگینی گرفتند. این در حالی است که بر اساس اصل ٢٧ قانون اساسی تجمع و گردهمایی به شرطی که مخل مبانی اسلام و بدون حمل اسلحه باشد در ایران آزاد است. فرح واضحان، زندانی محکوم به اعدام در پی ناراحتی شدید قلبی به بیمارستانی خارج از زندان اوین منتقل شده است. 1) Drop all charges and drop the death sentence verdict against Farah Vazehan. 2) Immediate and unconditional release of Farah Vazehan back to her family. 3) Do not persecute and prevent her from going back to school to continue with her education. The Save Farah Vazehan! Death Sentence Overturned, but She is Sick in Prison! 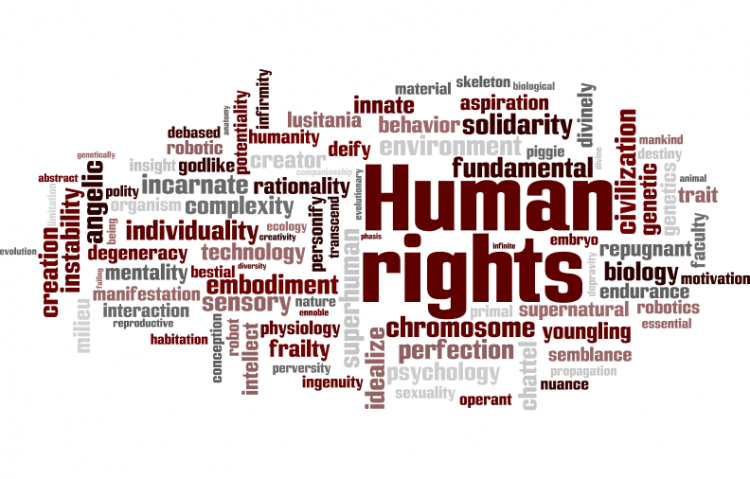 petition to UN High Commissioner for Human Rights Navi Pillay, Ban Ki Moon, EU Members, and Amnesty Int'l was written by sabzeha and is in the category Human Rights at GoPetition.